Andrée Kiser has recently joined Stealth Components as the Director of Operations and Quality Control. March 16, 2011 - PRLog -- Andrée Kiser has recently joined the Stealth Components team as the Director of Operations and Quality Control. In this role her primary focus will be continuous process improvement across all aspects of Stealth’s operations. She is responsible for supply chain analytics, internal Quality Control, third-party logistics, standards compliance, as well as certification initiatives. With over ten years of experience in the electronics industry, Andrée brings a valuable knowledge base to the Stealth Components organization. Prior to joining Stealth Components, Andrée spent 7 years with a $25 billion electronics components distributor and was directly responsible for managing several multi-million dollar customers – including contract manufacturers and original equipment manufacturers. 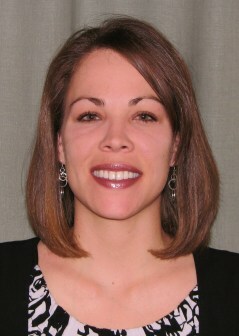 Andrée is a graduate of UNC-Chapel Hill with a Bachelor of Science in Applied Science. During her free time, she enjoys spending time with her husband and two daughters. She is excited to join Stealth Components and is looking forward to making an immediate, positive impact to the business. Stealth Components is an independent distributor of standard long-lead-time, allocated, hard-to-find, and obsolete electronic components. We help eliminate gaps, reduce costs and avoid production line delays and interruptions for our global customers. Stealth utilizes a vast network of approved suppliers to locate and acquire components for our customers. With domestic, European and Asian global traders in house, Stealth reduces its risk with a centralized business model of procurement. Stealth continually stocks and sources over 600 manufacturers. Our vast array of products and manufacturers mean we most likely will have what our customers need. View our product line here.